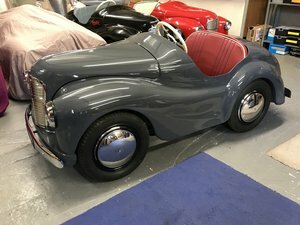 AUSTIN J40 PEDAL CAR - QUITE AN ORIGINAL CAR THIS IS A 1958 CAR THIS J40 IS GOODWOOD ELIGIBLE FOR THE SETTRINGTON CUP, A VERY SOLID J40. IT IS IN AMAZING CONDITION. 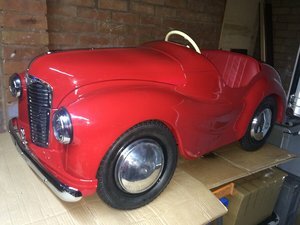 Excellent very well detailed 1:43 Scale model of the "ICONIC" Austin 7 RN Saloon. Produced by "OXFORD" Collectables in a Display case. Location New Brighton, collect or Post U.K £16. Thanks for looking. 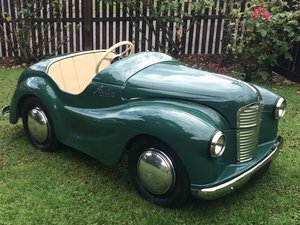 Austin jr40 pedal car fully restored in beautiful dark green , horn and lights work , all re chromed parts , rolling on Genuine Dunlop Cord Tyres, this beautiful car can also be raced at goodwood in the settington cup held each year , this car will only go up in value each year ! "AUSTIN 7 RN SALOON, 1:43 SCALE BY "OXFORD"
Excellent well detailed scale model of the "Iconic" AUSTIN 7 RN Saloon. 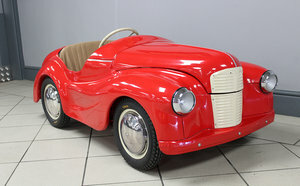 Produced by "OXFORD" Collectables in 1:43 Scale, Mint and Boxed. Location Cheshire, Collect or Posted recorded delivery U.K. At £19. Thanks for looking.